This week’s research brief highlights several new (and new-ish) books for your scholarly reading list. Morris, Aldon. The Scholar Denied: W.E.B. DuBois and the Birth of Modern Sociology. University of California Press, 2015. Description: In this groundbreaking book, Aldon D. Morris’s ambition is truly monumental: to help rewrite the history of sociology and to acknowledge the primacy of W. E. B. Du Bois’s work in the founding of the discipline. Taking on the prevailing narrative of how sociology developed, Morris, a major scholar of African American social movements, probes the way in which the history of the discipline has been written, giving credit to Robert E. Park at the University of Chicago, who worked with the conservative black leader Booker T. Washington to render Du Bois invisible. 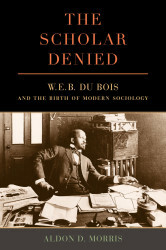 Uncovering the seminal theoretical work of Du Bois in developing a “scientific” sociology through a variety of methodologies, Morris examines how the leading scholars of the day disparaged and ignored Du Bois’s work. The Scholar Denied is based on extensive, rigorous primary source research; the book is the result of a decade of research, writing, and revision. In uncovering the economic and political factors that marginalized the contributions of Du Bois, enabling Park to be recognized as the “father” of the discipline, Morris delivers a wholly new narrative of American intellectual and social history that places one of America’s key intellectuals, W. E. B. Du Bois, at its center. The Scholar Denied is a must-read for everyone interested in American history, racial inequality, and the academy. In challenging our understanding of the past, the book promises to engender debate and discussion. The first chapter is available open access here. Moraga, Cherrie and Anzaldua, Gloria, (Eds.). 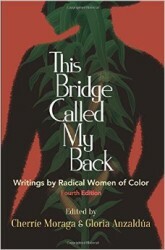 This Bridge Called My Back: Writings by Radical Women of Color, Fourth Edition. SUNY Press, 2015. Description: Originally released in 1981, This Bridge Called My Back is a testimony to women of color feminism as it emerged in the last quarter of the twentieth century. Through personal essays, criticism, interviews, testimonials, poetry, and visual art, the collection explores, as coeditor Cherríe Moraga writes, “the complex confluence of identities—race, class, gender, and sexuality—systemic to women of color oppression and liberation.” Reissued here, nearly thirty-five years after its inception, the fourth edition contains an extensive new introduction by Moraga, along with a previously unpublished statement by Gloria Anzaldúa. The new edition also includes visual artists whose work was produced during the same period as Bridge, including Betye Saar, Ana Mendieta, and Yolanda López, as well as current contributor biographies. Bridge continues to reflect an evolving definition of feminism, one that can effectively adapt to, and help inform an understanding of the changing economic and social conditions of women of color in the United States and throughout the world. Lentin, Alana and Titley, Gavan. The Crises of Multiculturalism: Racism in a Neoliberal Age. Zed Books, 2011. Description: Across the West, something called multiculturalism is in crisis. Regarded as the failed experiment of liberal elites, commentators and politicians compete to denounce its corrosive legacies; parallel communities threatening social cohesion, enemies within cultivated by irresponsible cultural relativism, mediaeval practices subverting national ‘ways of life’ and universal values. This important new book challenges this familiar narrative of the rise and fall of multiculturalism by challenging the existence of a coherent era of ‘multiculturalism’ in the first place. The authors argue that what we are witnessing is not so much a rejection of multiculturalism as a projection of neoliberal anxieties onto the social realities of lived multiculture. 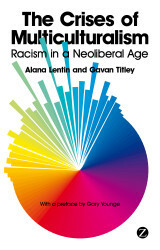 Nested in an established post-racial consensus, new forms of racism draw powerfully on liberalism and questions of ‘values’, and unsettle received ideas about racism and the ‘far right’ in Europe. In combining theory with a reading of recent controversies concerning headscarves, cartoons, minarets and burkas, Lentin and Titley trace a transnational crisis that travels and is made to travel, and where rejecting multiculturalism is central to laundering increasingly acceptable forms of racism. 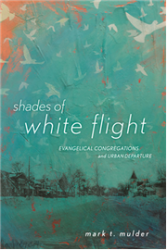 Mulder, Mark T. Shades of White Flight: Evangelical Congregations and Urban Departure. Rutgers University Press, 2015. Description: Since World War II, historians have analyzed a phenomenon of “white flight” plaguing the urban areas of the northern United States. One of the most interesting cases of “white flight” occurred in the Chicago neighborhoods of Englewood and Roseland, where seven entire church congregations from one denomination, the Christian Reformed Church, left the city in the 1960s and 1970s and relocated their churches to nearby suburbs. In Shades of White Flight, sociologist Mark T. Mulder investigates the migration of these Chicago church members, revealing how these churches not only failed to inhibit white flight, but actually facilitated the congregations’ departure. Using a wealth of both archival and interview data, Mulder sheds light on the forces that shaped these midwestern neighborhoods and shows that, surprisingly, evangelical religion fostered both segregation as well as the decline of urban stability. Indeed, the Roseland and Englewood stories show how religion—often used to foster community and social connectedness—can sometimes help to disintegrate neighborhoods. Mulder describes how the Dutch CRC formed an insular social circle that focused on the local church and Christian school—instead of the local park or square or market—as the center point of the community. Rather than embrace the larger community, the CRC subculture sheltered themselves and their families within these two places. Thus it became relatively easy—when black families moved into the neighborhood—to sell the church and school and relocate in the suburbs. This is especially true because, in these congregations, authority rested at the local church level and in fact they owned the buildings themselves. Revealing how a dominant form of evangelical church polity—congregationalism—functioned within the larger phenomenon of white flight, Shades of White Flight lends new insights into the role of religion and how it can affect social change, not always for the better. Want to see your favorite sociology book here (including your own)? 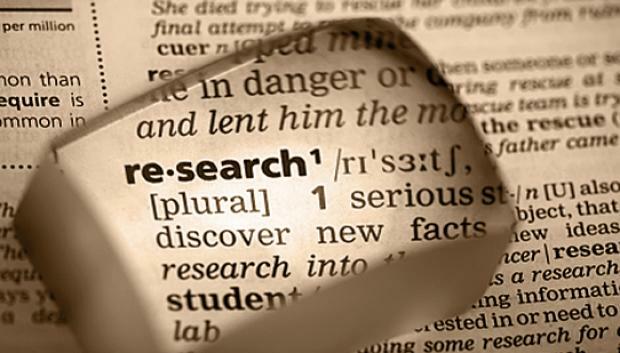 Drop us a note using the contact form and we’ll include it in an upcoming research brief.